My trip to meet the Bố Y in 2015 was full of adventure. I spent a whole day going round and round in an area and ended up feeling like I was trapped in a labyrinth because everything looked the same. I had to ask a number of strangers to help me find my way and then to make things even more interesting, my motorbike key got stuck in the ignition! 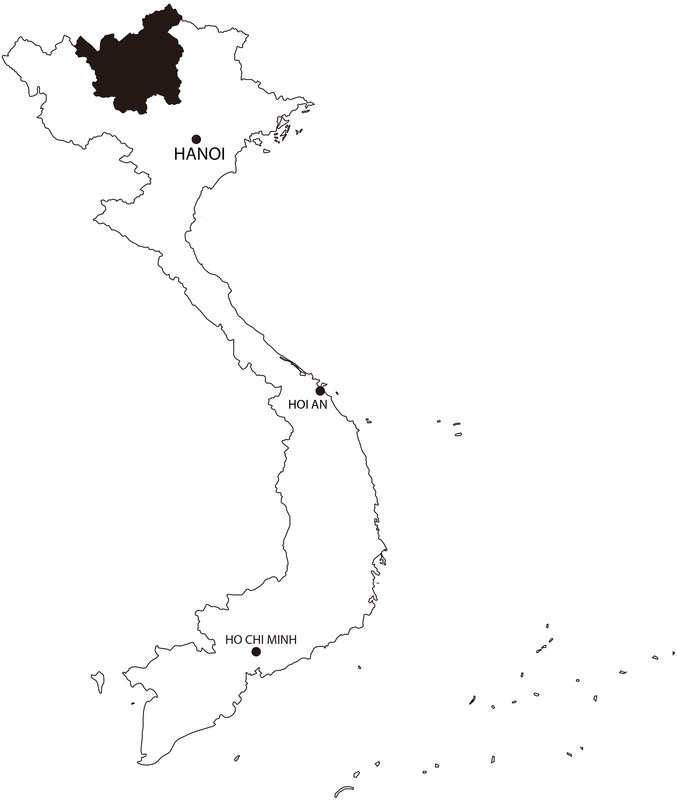 In this area near Quản Bạ, the houses are vastly spread out. One by one though, people came to help me and once again the show of support from the locals quickly melted away all frustration. 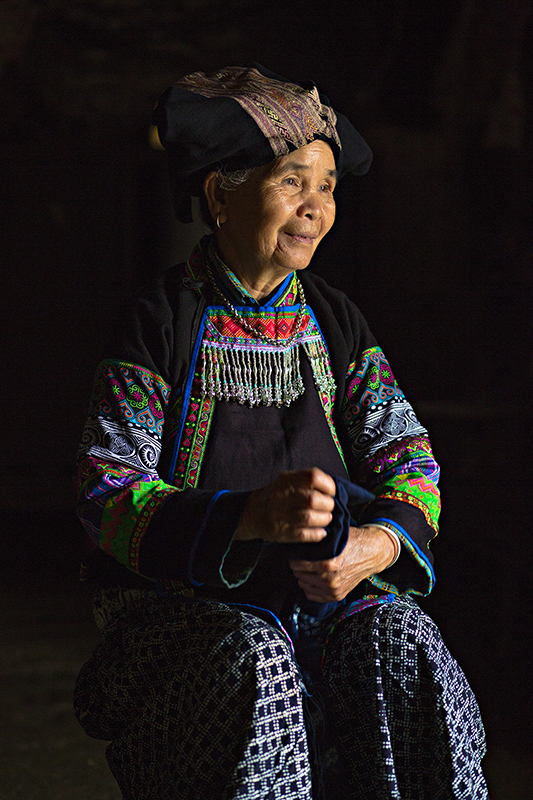 The woman in this picture is 73 year old Lù Thi Phùng. When I asked her if she had a costume I could see, she started beaming with pride. She said she’s the last one in her community that can make the costumes. When one sees the intricate patchwork, embroidery on the sleeves and the elaborate beading, one can’t help but feel that her history is sewn into each detail.